After NEROCA held Chennai City to a thrilling 3-3 draw at the Khuman Lampak Stadium on Monday, the race for the I-League trophy 2018-19 has become hotter. After NEROCA held Chennai City to a thrilling 3-3 draw at the Khuman Lampak Stadium on Monday, the race for the I-League trophy 2018-19 has become hotter. With all the four top teams vying for the title at the same spot, East Bengal has an advantage because it has played fewer matches. When will the East Bengal vs Shillong Lajong I-League clash take place? The East Bengal vs Shillong Lajong match will take place on 14th February at 5PM IST. Where will the East Bengal vs Shillong Lajong I-League clash be held? The East Bengal vs Shillong Lajong match will be held at the Salt Lake stadium. 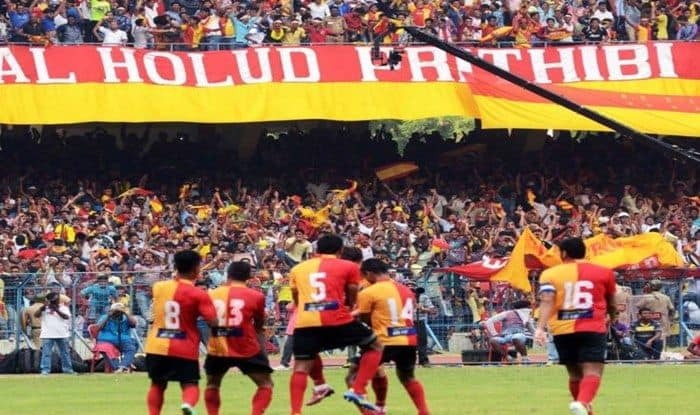 Which Indian channel will broadcast the East Bengal vs Shillong Lajong clash? Star Sports Network will broadcast the East Bengal vs Shillong Lajong match. Where Can I live stream the East Bengal vs Shillong Lajong I league match online for free? The East Bengal vs Shillong Lajong match will be available for free on hotstar.com and Jio TV app.